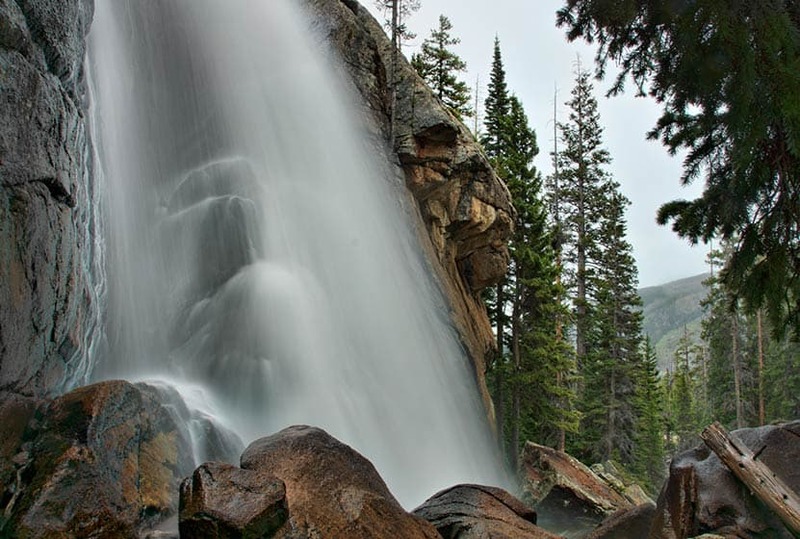 Ouzel Falls spills over a cliffside and enormous boulders, making it arguably one of the most beautiful waterfalls in Rocky Mountain National Park. 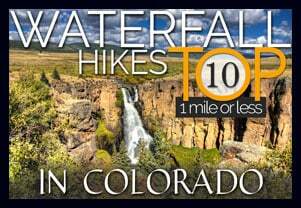 Before reaching this 40-foot falls, the trail traces the course of several creeks and leads hikers past three other cascade waterfalls. 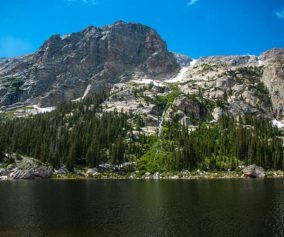 Explore the full Ouzel Falls hike profile below for trail map, driving directions, and more tips and details to help you enjoy this adventure in the Wild Basin of Rocky Mountain National Park. 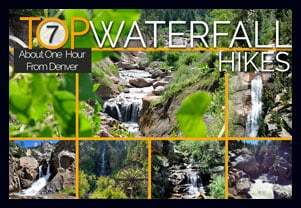 This 2.7 mile hike (one-way) begins at the Wild Basin Trailhead and passes three other cascade waterfalls before arriving at the Ouzel Falls. Copeland Falls are found just 0.4 miles into the hike. 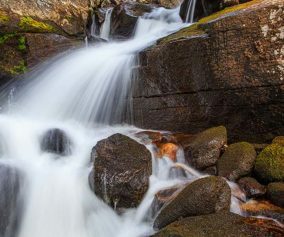 For details on locating both the lower and upper cascades, explore our full trail profile on Copeland Falls. After Copeland Falls, the trail continues following alongside North Saint Vrain Creek for about 1 mile to where it splits. The right-hand trail leads south to a log bridge crossing the creek. Near the bridge, hikers can take in the sights and sounds of another small cascade. The trail continues south to Calypso Cascades, the third and final cascade waterfall before reaching Ouzel Falls. Here the trail splits again. The left-hand/east trail leads aback towards the Finch Lake trail and the Allenspark Trailhead. 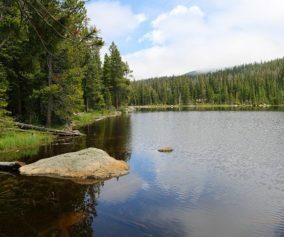 The right-hand/west trail leads towards Ouzel Falls and the Bluebird Lake Trail. Here, the trail crosses a set of two bridges, then climbs uphill through a set of switchbacks. The mountains to the north now come into view, both Mt. Meeker, Pagoda, and Longs Peak. This segment of trail between Calypso Cascades and Ouzel Falls is approximately 1 mile. A second set of switchbacks brings hikers within earshot of the falls, and they will come into view at the bridge that crosses over Ouzel Creek. However, the best views of the falls can be gained via a social trail that is located before the bridge on the left side of the creek. This unmaintained trail leads to an area above the falls with incredible views of alpine meadows and craggy peaks. As with any social trails, please use the most worn paths and hike on durable surfaces. Be aware that the rock can become slick in this area and hikers should exercise caution when navigating above the falls. Ouzel Falls is named after the Ouzel or Water-Dipper, the only songbird that lives a mostly aquatic life. Ouzels weave globe-shaped nests near waterfalls, lakes, and streams. They dive–even walk–underwater to catch insects and larvae. 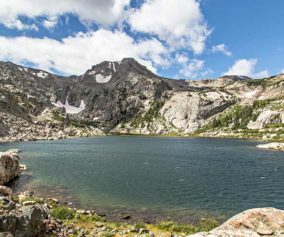 Hikers can return the 2.7 miles back they way they came to Ouzel Falls, or can hike further to destinations such as Ouzel Lake (an additional 2.2 miles, one-way). 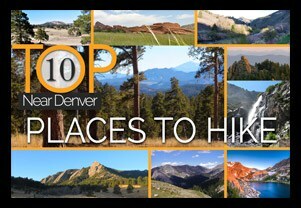 Get there early: Parking may be somewhat limited as with many hikes in RMNP. Parking at the trailhead can fill up, even in the early morning. You’re in Bear Country: Black Bears live in the Wild Basin area and are active on the months of April through November. Be aware, and dispose of your food responsibly. Be sure that no food or strong scented items are left in your car. Photo: We would like to express our gratitude to Steven Bratman for sharing such an amazing photograph of this hike to Ouzel Falls in RMNP. Just curious about bug/mosquitos here and time of year. Are they bad in late spring/ early winter? Mosquitos really depend on how much standing water and warmth there is during a given time of year. Even things like having a good stiff wind can radically change things. Because of Ouzel’s location I would think that mosquitos would not be an issue, especially in late Spring. 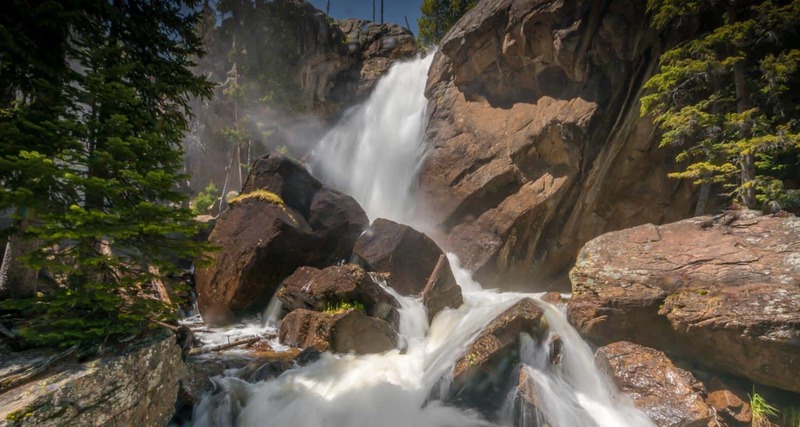 Hiked to Ouzel Falls on June 24th. Park was busy as expected for a Saturday but we grabbed the first spot we saw along the road to the Wild Basin trailhead. Added 1 mile (1-way) to the hike, but not a big deal. Trail is spectacular, well maintained, and features several excellent viewpoints, access to the creek (which is very swift and high right now), and lots of places to stop and rest if needed. It was “crowded” by backcountry hiking standards, but to be expected on a June Saturday at RMNP. We did not find it to be bothersome, had several nice conversations with folks along the way, and were otherwise untroubled. Total hike was just shy of 8 miles round trip (could have stretched to 10+ if we had taken the Finch Lake trail at the Cascades as the return). With it being uphill all the way out and downhill all the way back. There are a lot of weeps, creek runouts, and other muddy spots along the trail, but none are impassable, just be careful and don’t walk in the mud and increase the damage to the trail. We saw many many chipmunks, a marmot, deer, and some spectacular birds as well, and the falls is more than worth the hike (definitely go up the social trail, and if it is free and you are able, hop up on the big rock and sit and marvel. There was snow on the social trail still above the falls in the shady spots, but others told us you can get around and up top of the falls along that way without trouble. All in all an great hike in a great area.